There’s a lot to think about when running your own small business – from sales, supplies, staff to premises. However it’s important that your information technology is not an afterthought. Not only will it help your business operate more efficiently but it could stop cybercrime from eating into your profits. ● E-commerce – where customers can purchase your product or services and/or businesses can order supplies via the internet. ● Use of SaaS (Software as a Service) – making use of online software to which firms subscribe to manage their accounts, staff, HR etc. ● Analytics – where businesses can analyse behind-the-scenes data and gain deeper insights (e.g. on their customers, sales, website searches etc.) to help improve processes and sales. A digital transformation is taking place in businesses of all sizes. Good choices and efficient use of IT helps firms to manage many aspects of their business which would otherwise cost more. What’s more, new ICT strategies are emerging all the time which enable businesses to operate more efficiently. It all adds up to boosting the productivity of SMEs and potentially reaching more customers. However, just as with the other operational aspects of your business, your ICT choices and subsequent maintenance need attention. • Company websites malfunctioning or crashing. 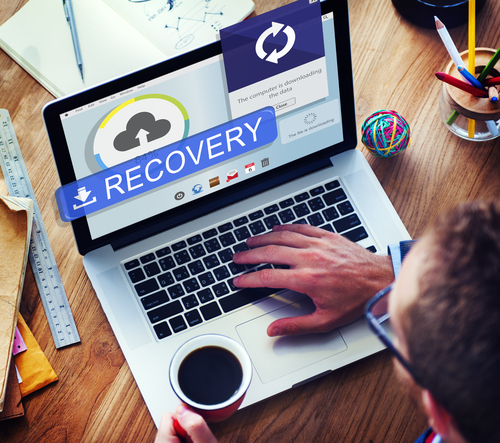 When the worst does happen, it can be a real threat to your business continuity. Computer downtime can prove costly, with staff distracted, sales held up and customers kept waiting. Moreover 43% of small businesses don’t have a business continuity, disaster recovery or crisis management plan in place. This can makes SMEs less resilient resulting in major losses. Given the importance of IT, you would imagine it’s given some priority, right? Unfortunately, this isn’t always the case. Too many firms just muddle through or rely on non-expert staff to set up their systems. These overburdened staff are then called on to troubleshoot everyone’s IT problems. At a time when 47% of SMEs say that finding the right staff is their biggest business challenge, it makes sense to provide the right working environment where their IT equipment works and staff don’t become demotivated. Small businesses can be left behind and placed at a competitive disadvantage if they don’t have digital competence and beyond that, explore digital trends. It can be a false economy to compromise on such as important aspect of your business. 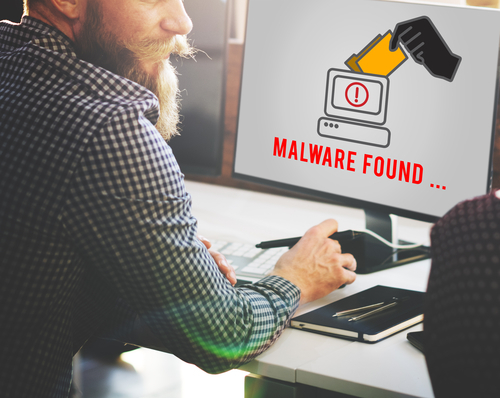 Not only do you want your IT working efficiently but you also want to keep your business and IT systems safe from the growing threat of cybercrime . Increasing numbers and types of security threats have added to the complexity of business IT. ● Under three in ten businesses (27%), and two in ten charities (21%) have a formal cyber security policy or policies. Managing and protecting against cybercrime risks now goes with the territory of running a business. Some of the basic cybersecurity measures which businesses need to have in place for preventing cyber-attacks include having adequate firewalls, good password protocols and two-factor authentication. Sadly criminals are constantly evolving their attacks. It means that security measures need to be combined with staff having to have a high level of awareness so that they can spot, for example, phishing emails. Are you confident that your IT is protected and safe from cyber attacks? Breaches in personal data can now attract hefty fines and reputation damage. The storage of data is widespread with a majority of businesses of all sizes holding such data – 55% of micro or small businesses, through to 78% of large businesses, according to official sources. The new GDPR laws (General Data Protection Regulation) which came into force in May 2018 mean that all EU business, including those in the UK, have responsibilities to protect personal data. The Information Commissioner’s Office has the power to enforce penalties even where data breaches are not the result of obvious malicious activity and where breaches occur due to human error, for example, failure to wipe obsolete IT equipment before disposal. So while you’re busy looking after existing customers and winning new sales, who’s looking after your IT and keeping it safe? In short, using a managed IT service can prove a sound investment which gives you a seamless service and peace of mind. It could also help you leverage the best IT solutions for your sector. 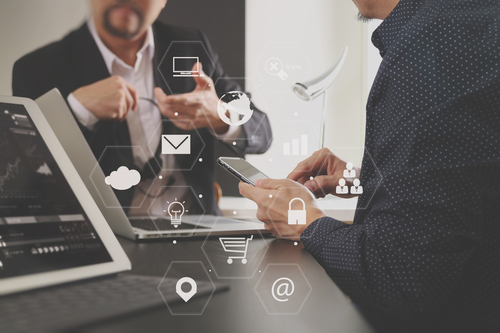 SME business-owners or managers from a variety of sectors – from retailers, to service suppliers to charities and educational organisations – often find that a small professional IT firm can understand their needs and provide a perfect fit. 360ict Ltd is an experienced IT support company which aims to help small businesses make the most of their ICT choices and stay safe online. We provide a variety of hassle-free IT support services for clients with flexible and sensible pricing structures we can meet your needs.